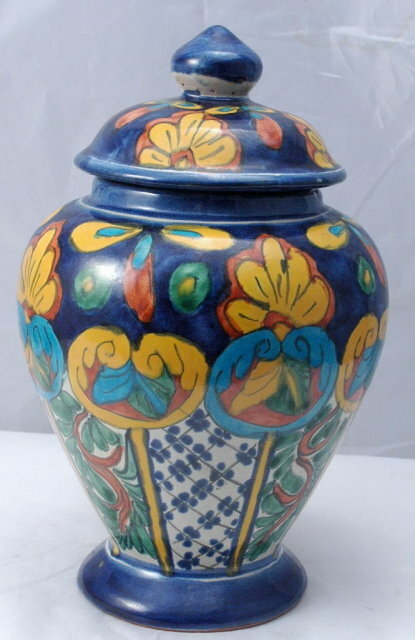 Lovely hand painted hand formed Mexican Talavera Pottery Lidded Urn. It is not signed. The condition is very good to excellent. There is no damage. There are a few consistencies in the form and glaze however this is to be expected as these items are hand made by individuals with small communities in Mexico.